I just plain enjoyed this story. I was engaged in the characters and the plot was interesting. I started listening to this book the day it came out and finished it the next day. 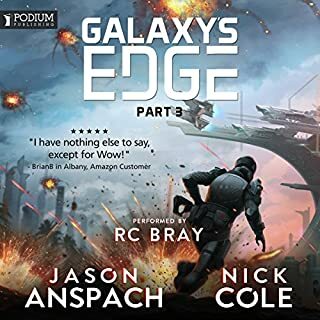 If you like space ships, aliens, wise-cracking MCs, lots of action, and a good mystery, this is the book for you! Plenty of surprises, and Butler is a well-rounded character with a good sense of humor. 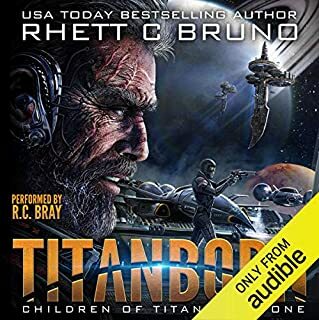 I especially love the scenes with the reporter, Plazz, because Butler is at his wise-crackingist :) Plus, RC Bray as narrator is the *perfect* grumpy old colonel. Definitely a must-listen! 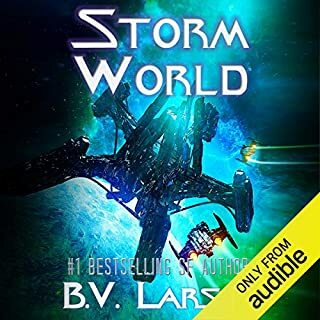 I’m not sure how many space operas and military sci-fi books I’ve listened to but it’s quite a few. Planetside is a refreshing shift from the majority. 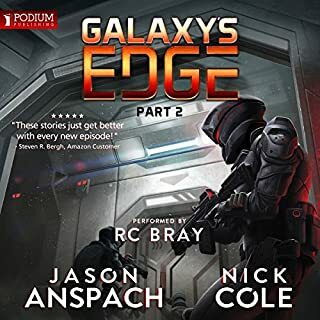 It’s not about two civilizations slugging it out or technological wonders of the future but a story of investigation that happens to be set in space. 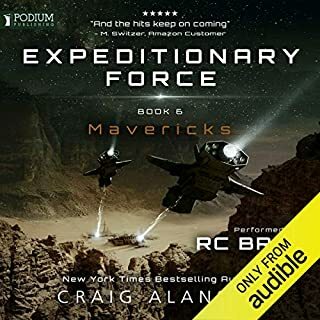 Perhaps it’s due to RC Bray’s narration but it reminds me quite a bit of the surly humor and style of Andy Weir. 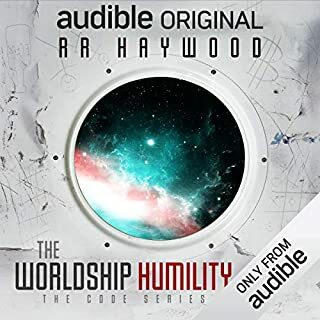 R.C Bray’s narration lacks in variation for each character but he always makes up for it with perfect timing and a voice they is easy to listen to. Overall a must read (listen) for me. 95% Excellent. The last 5% mediocre. First out of the way: R.C. 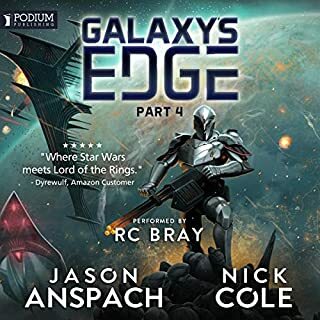 Bray is and continues to be my favorite narrator. Without giving too much away, a great mystery story that does a good job of building over time. Believable characters. Great pacing. And then stumbles a bit when it's time for the grand finale. 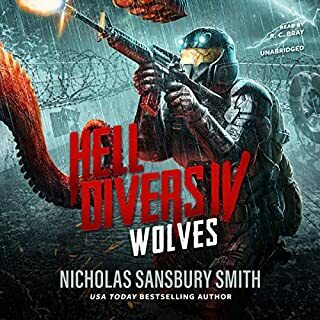 I don't know if I'd call the ending *bad*, (because I've read my fair share of books that started great but had well and truly horrible endings and this doesn't fit that,) but it wasn't as satisfying as I'd hoped. That being said, while in many situations I'd call a disappointing ending enough of a reason to not recommend an entire book, in this case I'd say it's still an overall good book worth your time. I enjoyed the story, but when the end came I was like; "wait...what?" You can infer what's happening/going to happen, but there's no definite 'closure' to the story. Either way, still worth the listen. 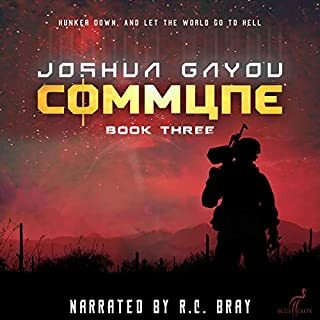 As always, RC Bray is amazing. I haven’t listened to a debut sci-fi this good since Taylor’s WE ARE LEGION. 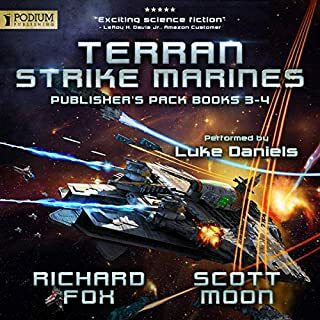 This book has all the spacefaring action, plot lines, and tech you’d expect from a book titled PLANETSIDE, but with an element of mystery that really sets it apart. On the mystery side, I have to admit, I guessed the big bad pretty early on, but the ending took me completely by surprise. That was the perfect ending. 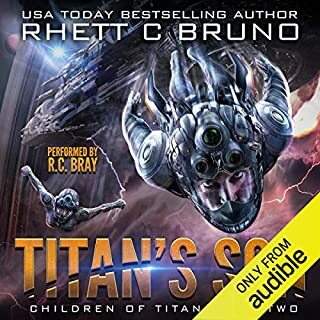 As for the narration, RC Bray never disappoints, and this book is no exception. Any fan of Alanson’s COLUMBUS DAY needs to make this book their next listen. Good build up to an abrupt ending. Great voice performance as always. But the story just had a very abrupt and unsatisfying ending. It seemed to take forever for something to happen in this book. There was too much descriptive verbiage and verbiage that had nothing to do with or enhance the plot. For example, the part where the protagonist is wondering whether and when his female aide had her hair cut. There was quite a lot of action but that didn't happen until the 2nd half of the book. I actually stopped and started this book several times. Action, Adventure and Conspiracy - Exciting! 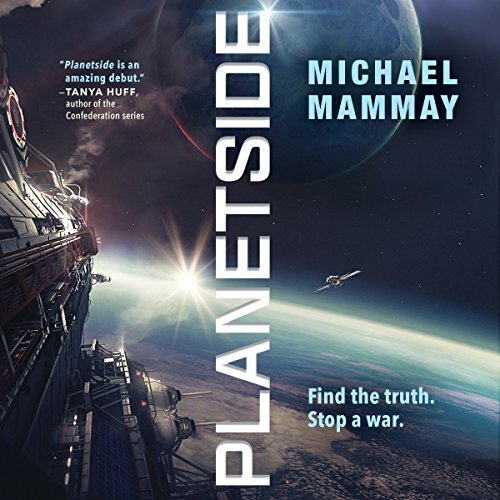 “Planetside” is a rollercoaster ride of action, adventure, and conspiracy. 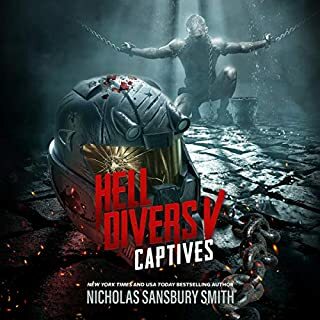 It is a military contemporary science fiction story which appears to be right in the author’s comfort zone. 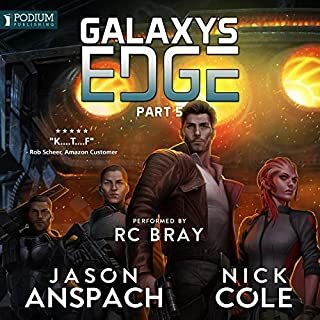 The book is authored by Michael Mammay, and it appears this is his first work published on Audible. 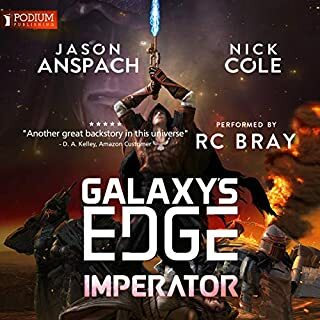 I could not think of a better narrator for this title than R. C. Bray. He is an exceptionally talented narrator and I have many of his other works in my personal library. The duo is such a great pairing than of both story and narration. The outcome is welcomed in a rather densely populated genre. If you enjoy listening to well written and performed science fiction that contains action, twists, and a sprinkling of humor, I recommend you give Planetside a listen. 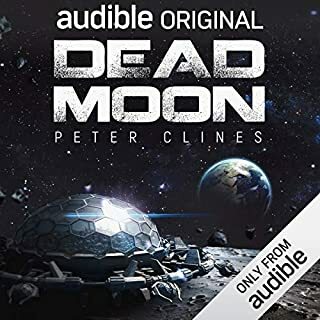 The author did an exceptional job of revealing the story which opens by presenting the listener with many unanswered questions along with a few bits of mystery. All the way through the book, there is a level of suspense that keeps one engrossed and attentive. The story and technology felt well researched and believable for a science fiction piece. The technology was not thrown in to make the book feel science fiction; not at all. It was more used to augment or assist the story going forward. The listener really gets the feeling of being a part of the story as the book progresses. It is also clear the author has a military background as the book contains many aspects of formality, rules, and procedures. Something one would expect to find if they were in a military service organization. 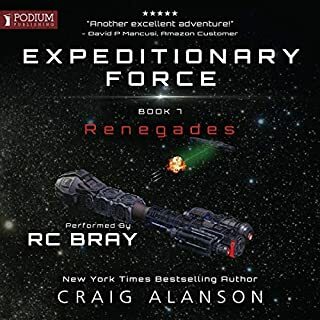 The author included a fair amount of background as the first half of the book is about them traveling to become planetside. This first quarter of the book is not something that can be skipped so one can jump right into the action. He uses this time to develop the book’s characters, give us a view of the technology, and provide us with an overall view of the world and situation at hand. I like when an author takes time to develop a story using different and interesting creatures. We are not simply presented with your run of the mill alien. One wonders if these are friend or foe, and here is where things get very interesting. The author used a level of detail that helped me to see the world I was a part of. From the flow between action and narrative, it was well balanced. With the solid storyline and the great narration, I felt at times that I was watching a movie via my ears. It all really clicked and worked. There are little bits of humor thrown in to help relieve tension. One of the spots that had me laughing out loud was when a character yelled, “Bad guards!”. If you listen, you will know what I mean. I find it refreshing also to listen to a book that when it is over there is not another to pluck and continue. Most of the story plots are closed up and there are no requirements to listen to additional books for the conclusion. Just note that the book’s conclusion comes at a rapid pace. I was not sure how the author was going to accomplish this task, but it was well done and, in the end, it did not feel rushed. The book’s narration is of the highest level of both professionalism and quality. Mr. Bray does a great job voicing the many different characters and gives each of them personality making it easier to distinguish one from another. His rich and deep tone help set the stage and overall feeling of the book itself. There were no audio artifacts or other blemishes I can recall while listening, something I would expect from a seasoned narrator. I can say that I have never been disappointed with any of his narration works and always enjoy when I get a chance to listen to him. For parents and younger readers, I would not recommend this book to younger audiences as there is a fair amount of vulgar language and sexual topics throughout. 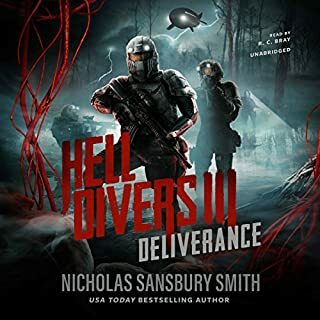 It is not more than one would expect from a military science fiction story, but it is there and heavy at times. There are also some scenes consisting of graphic violence; yet, again not a surprise for the genre. It is a very well written book, yet I would suggest it is more geared toward adult or mature readers only. In summary, this is a contemporary science fiction story that at first masquerades as nothing more. Yet, it when it opens up and one begins to see the many facets, this is where the book shines. 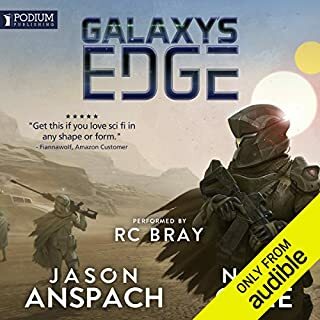 If you are a fan of either science fiction or like a good military mystery, I recommend you pick up Planetside and give it a listen. I also look forward to more books by this author in the future. Best book so far this year! This was a great story. Thrilling, humorous, fast paced, hard boiled with none of the whining crap that’s damn common. Nothing here very interesting. I forgot it as soon as it was over though I didn't mind it at the time.